WA PRINTING ® is your one-stop shop for all your printing requirements. With a dedicated and experienced team of award-winning designers we can help you create your brand and build loyalty and improve customer awareness. Regardless of your budget we have the ideal print solution to suit your needs. Whether you run a small home business or a large national company WA PRINTING ® understands what it takes to make the best impression. Our professional team at WA Printing can help you with all your printing, design and branding needs all at a price you can afford. 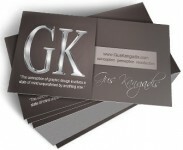 We can print and design simple "no-frills" business cards or complete Corporate Identity packages as well as marketing and promotional materials as well as promotional items and can advise you on the right stocks, colour, finishes and the latest printing techniques to give your job that extra touch of class. WA Printing is also your one stop shop for digital printing. We can help you make your presence known by designing and printing anything from leaflets, flyers or even large format posters to allow you to make your mark in the marketplace. Print what you want when you want at competitive prices. 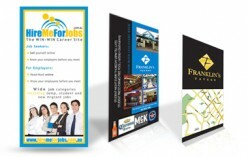 Ideal presentation folrders for more effective business with WA PRINTING. Stay in your customers mind all year round with our handy desk calendars that can be customized to meet your business needs. If you are looking for cost-effective and economical DL cards, you need to contact WA PRINTING, Western Australia. Refresh your company image with WA PRINTING envelopes printing service. Compliment Slips designed and printed by WA PRINTING are the perfect addition to your business stationery.